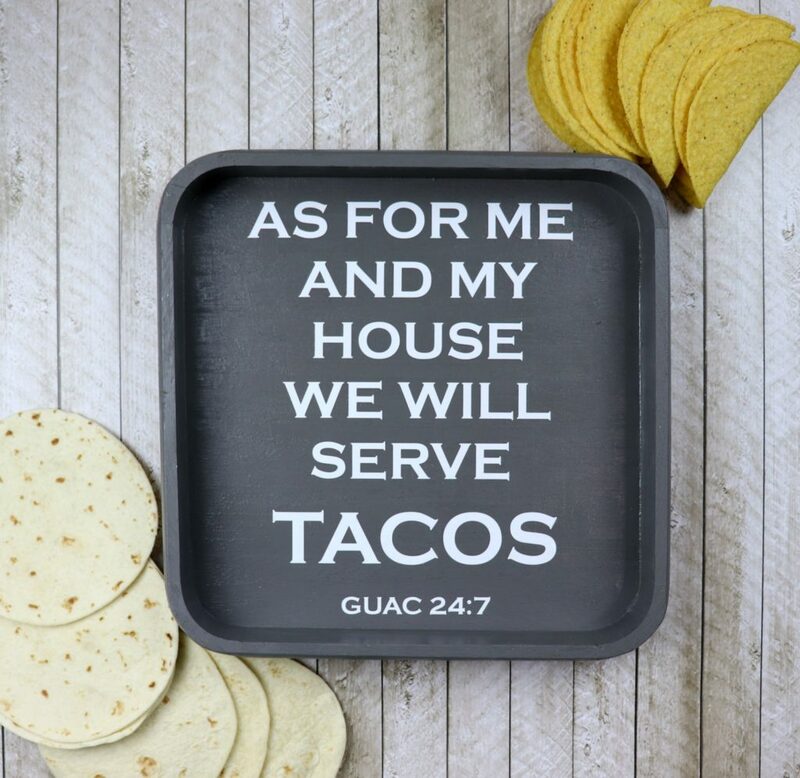 Make this funny serve tacos tray to entertain your dinner guests with! This is a sponsored post but all ideas and opinions are my own. I have a pretty good stash of unfinished wood products that I collect from various Goodwill San Antonio stores. Either people buy lots of unfinished wood for projects that they never make, or they are leftover merchandise from stores, but I have had a lot of luck finding new condition wood items to craft with. 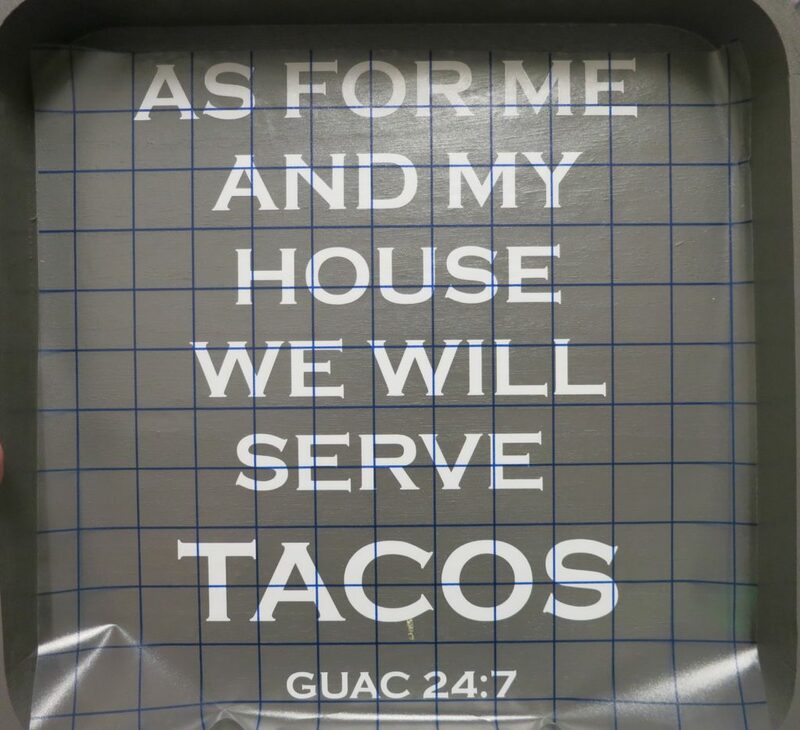 I have several trays in my “stash” and I decided to add a humorous message to this serving tray. I’m participating in another round of Craft Lightning this month. 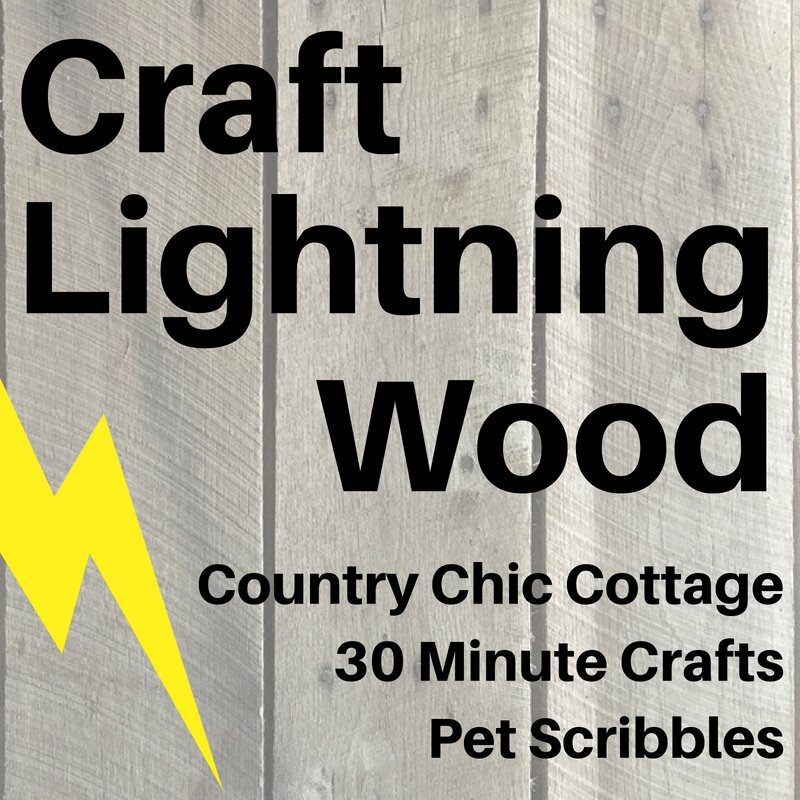 Lots of talented crafters will be sharing how to make a wood project that is lightning fast! 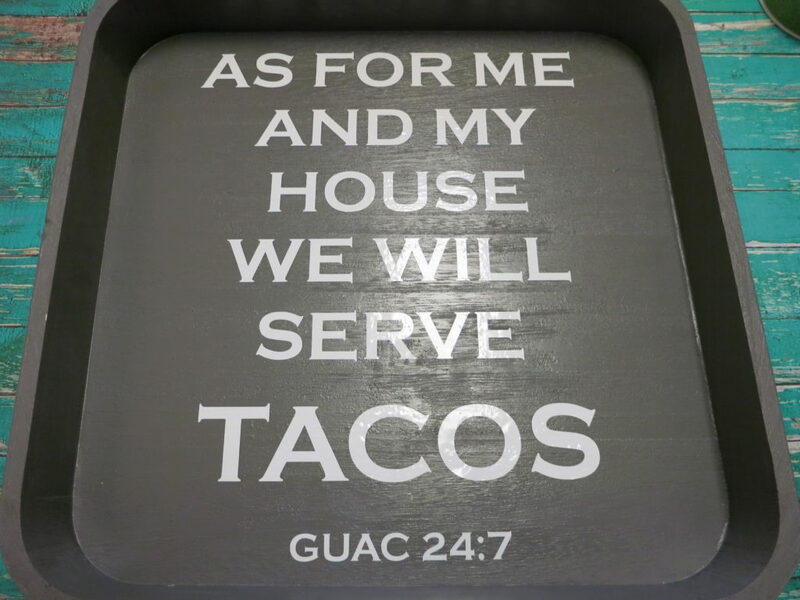 Here’s how I made my serve tacos tray. 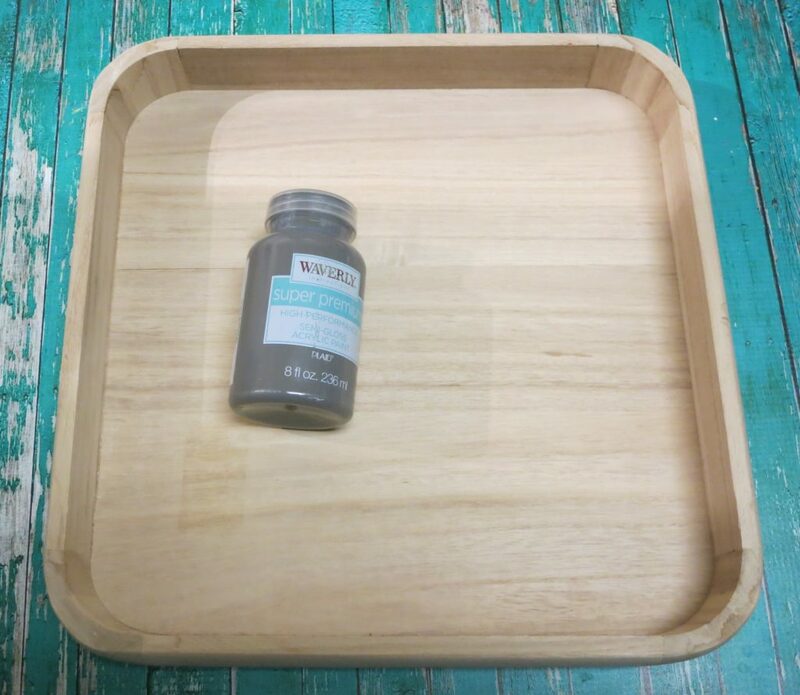 Paint the unfinished wood tray. I used a lovely cool gray color from Waverly by Plaid Crafts. Cut the lettering out from permanent white vinyl. (The link to the free cut file is in the supply list). I used a Silhoutte Cameo for this project. 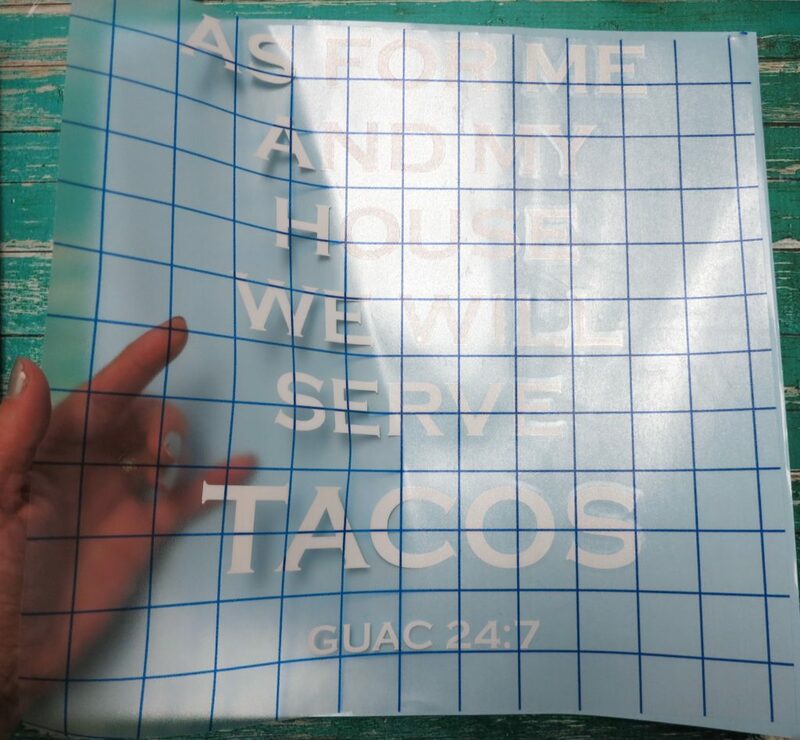 Weed the vinyl by peeling away the excess and leaving just the letters. 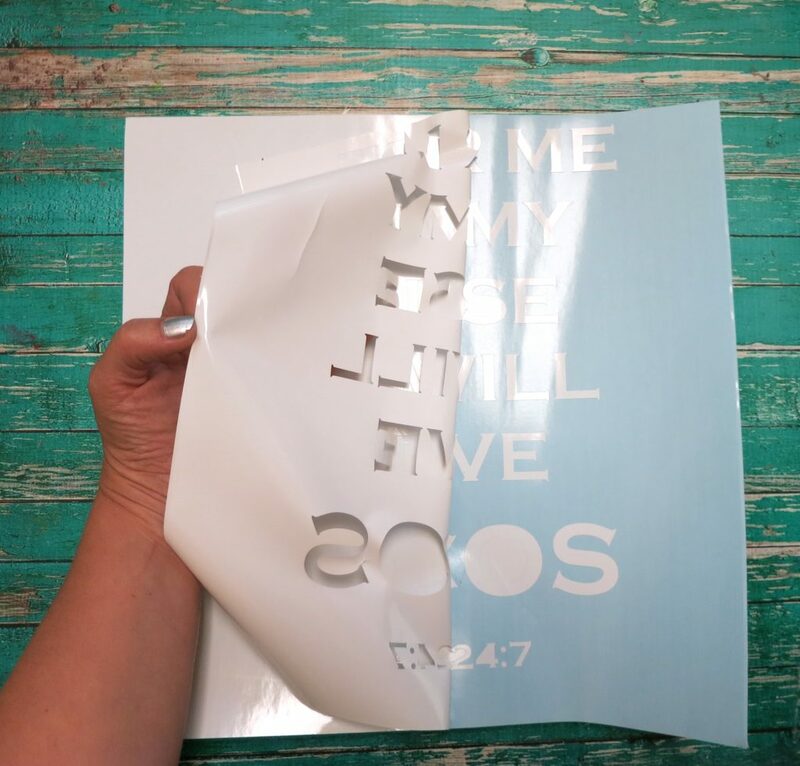 Place a transfer sheet over the vinyl letters to lift them off the backing. Line the phrase up on the wood tray and press down on the vinyl firmly. Peel the transfer tape off carefully to leave the funny phrase behind. 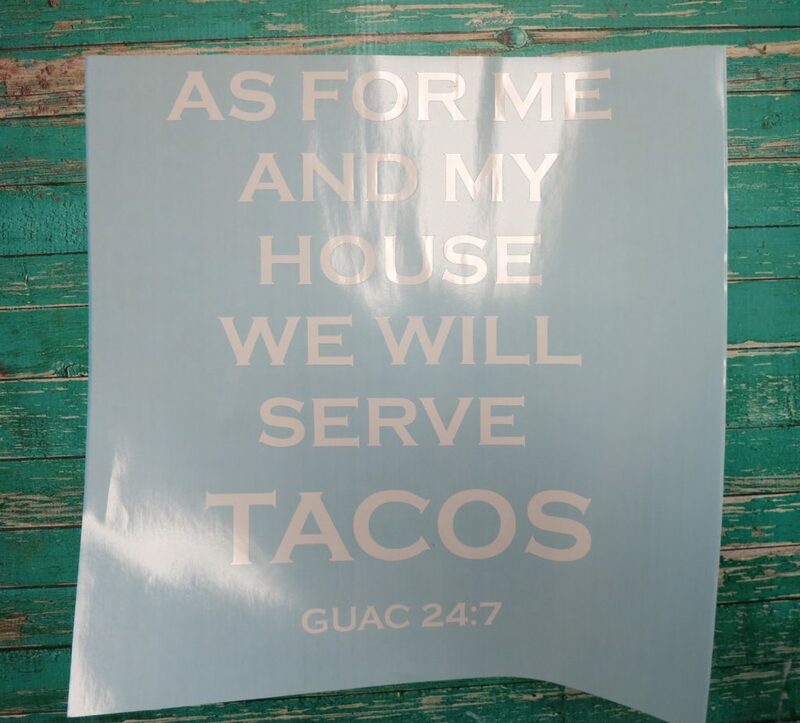 I used Dishwasher Safe Mod Podge to seal the vinyl letters in place. I applied one layer, let it dry, then applied a second thin layer. The dishwasher formula means it will be safe to wipe the tray clean as needed. 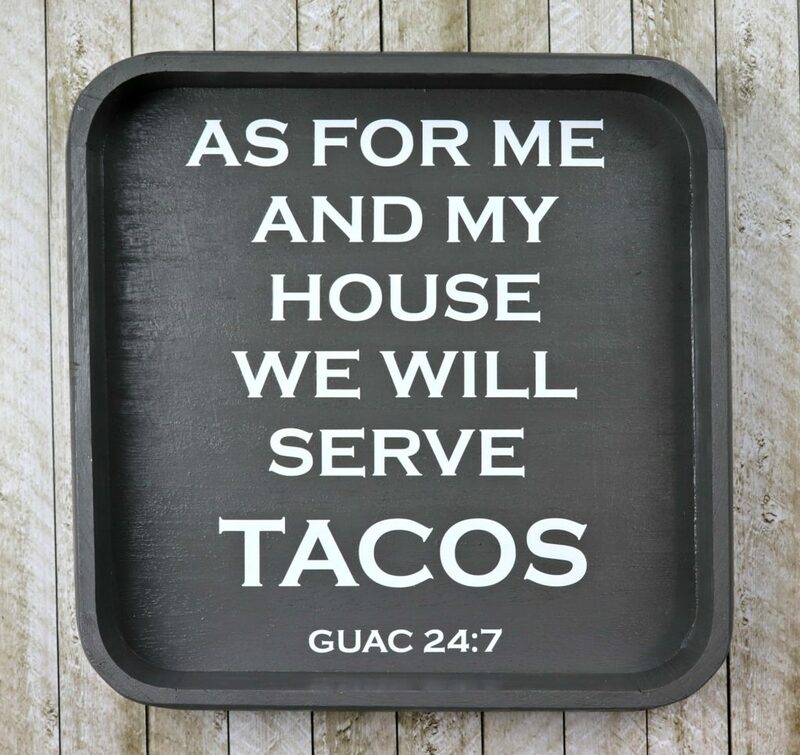 This serve tacos tray is perfect for Taco Thursday in my house! 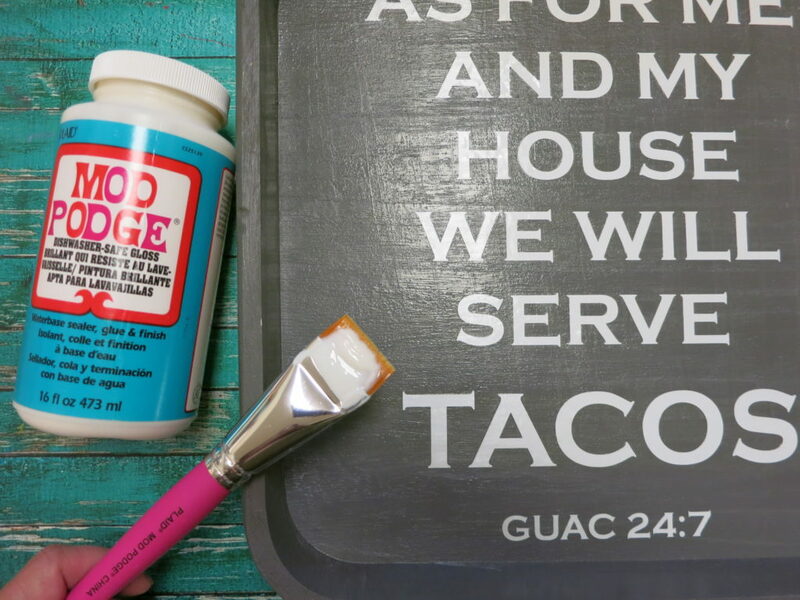 Have fun crafting and creating with unfinished wood finds from Goodwill San Antonio! This is so dang cute — and hilarious too! Love it! But I will write few poetry and I will use my tray for decorating…. Morena!! I totally need this!! Thanks for joining! ha, glad you like it! Thanks!